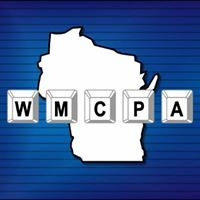 The Wisconsin Midrange Computer Professional Association, WMCPA, will be holding their spring technical conference next month. This three day event, Tuesday March 14 – Thursday March 16, promises to be the largest IBM i conference in the Midwest this year, with over 50 presentations from many well-known IBM i experts and 2017 IBM Champions. Tuesday starts off with the WMCPA sponsored "Women in IT", geared towards high school girls and women already working in or interested in Information Technology. This year's event is at the Lake Lawn Resort in Delavin, WI. The resort is less than an hour from Milwaukee, and 1 hour 45 minutes from Chicago. All the information you need to know about this event can be found on the conference website here. If you live in the upper Midwest this is something you ought to attend as this event provides a great opportunity for you to learn directly from the experts, and to interact with your peers.